Stand out from the digital crowd! You are a small business owner looking for someone who will help you reach your target audience and provide you more visibility online? Then you are at the right place. I am Nawal Lasfar, founder of SO Digital and Digital Marketing Consultant. Why should we work together? Aside from my Marketing background and my 5 years of experience in Online Marketing, I will not treat you as another client but as a person. 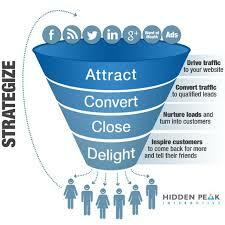 I work personally with small business owners in order to improve their Online Marketing and Social Media strategy. I will listen to your story and understand your business and establish a plan to reach your target audience. Let’s work together and bring your business to the top! Do you need a simple, clear, and professional website but you don’t want to hire an agency who will charge you at least $200 per hour? Well, I can help you with that! Starting the amount of $200, I can offer you a basic website allowing you to reach your target audience. Do you need regular maintenance for your website? I will only charge you $20/h every time for any change. Do you want to be able to make the changes yourself? Not a problem. I can teach you how to do basic modifications like updates, adding or modifying pictures, writing content…etc. Take a look at our clients’ websites! I will be more than happy to answer all your questions. Contact me for a free consultation!